When considering the location of its first residential project in Canada, Samm Developments wanted to find a neighbourhood that offered a mix of established amenities, plenty of green spaces and tremendous value for homeowners. Located at 2035 Kennedy Road, The Kennedys Condominiums offers just that. Unlike other areas in Toronto, the housing prices in the east end haven’t skyrocketed making it an ideal location for the developer’s upcoming community. The neighbourhood boasts a great selection of amenities and activities for all including the Tam O’Shanter Golf Club, the Kennedy Commons shopping centre and numerous parks and green spaces like Collingwood, Dorset, Inglewood Heights and McDairmid Woods. The iconic Scarborough Bluffs and its breathtaking views of Lake Ontario are also just 10 minutes away while nearby Rouge Park is home to over 1,700 species of plants and animals as well as several nature trails to explore. 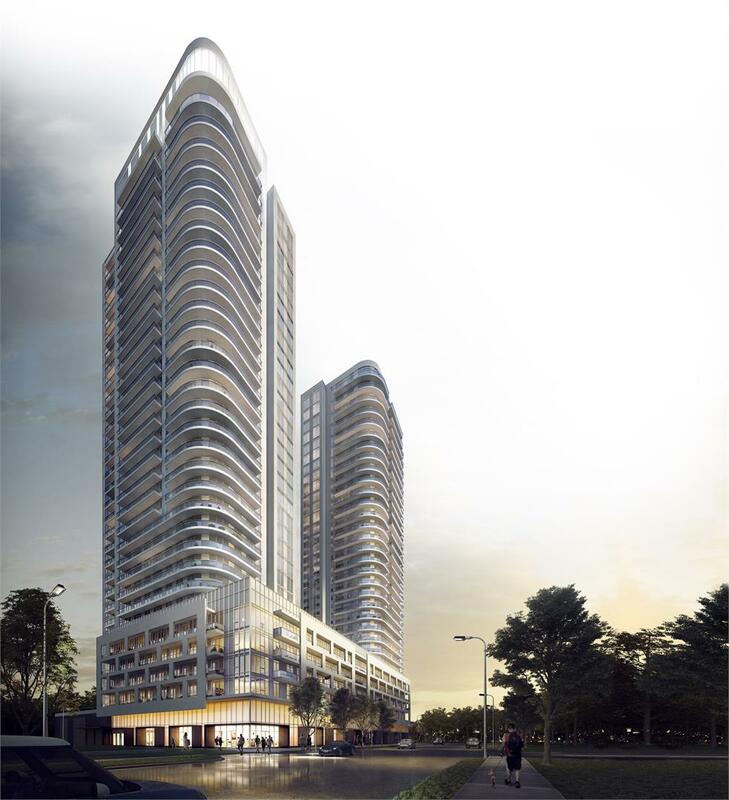 Closer to home, residents will be steps away from a grand outdoor piazza located at the centre of the community. 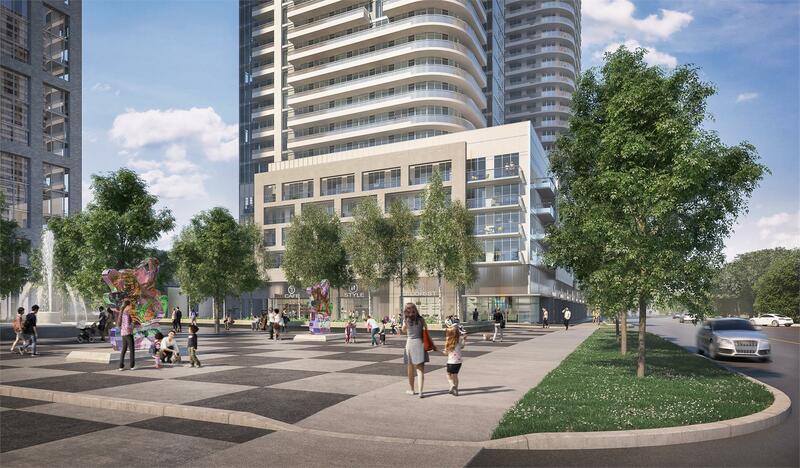 Inspired by the public piazzas of many European countries, the landscaped open space will be outfitted with public art pieces and surrounded by trendy cafes and restaurants. In addition, residents of the community will benefit from convenient access to major thoroughfares and public transportation options. Situated near Kennedy Road and Highway 401, they’ll be able to reach the TTC subway via a quick bus ride down Kennedy Road or catch the LRT at Midland or Ellesmere stations. Plus, once the transit plans for the Bloor-Danforth subway extension materializes, it should be even easier to commute to the downtown core. Priced from the $200,000s, phase one of The Kennedys includes two contemporary towers designed by the award-winning Page + Steele IBI Group Architects. Characterized by sleek spans of glass, precast concrete and integrated balconies, the 32-storey towers will be a modern addition to the east end skyline. Interiors are by the renowned Tomas Pearce Interior Design Consulting Inc. and feature spacious suites, stylish common areas and luxurious amenities. 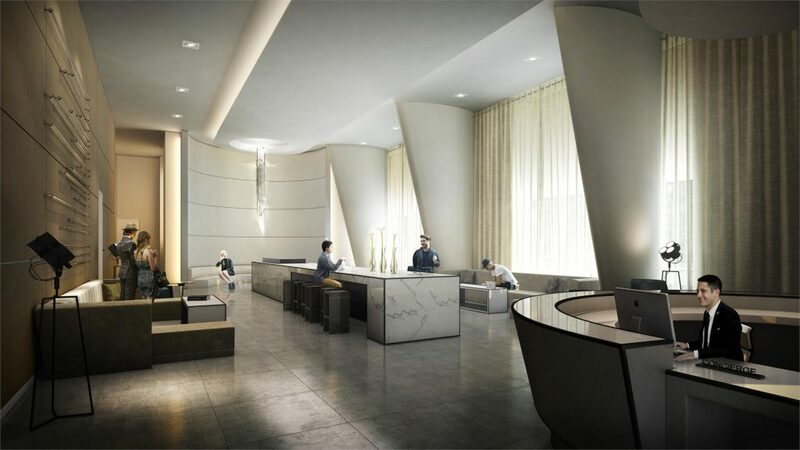 The long list of hotel-inspired amenities include an indoor pool and hot tub, wellness centre, business centre with WiFi lounges, karaoke and billiards lounge and a party room with kitchen. To learn more about The Kennedys and the incredible value the project offers, be sure to register online today.